I promised newsletters and I am finally ready to deliver. Sorry for the delay. I’m also trying to write a science fiction novel and I found out I should have paid more attention in English class. Understanding science and writing about it are two different things. Go figure. There is a vet in my story but she is not the main character and it is not about veterinary medicine. The vet is however very smart very professional and very attractive just like real life! We are all like that. Things are going well in the animal world. There is nothing new or terrible happening so far this year. Our infectious enemies are still led by Parvovirus in dogs along with Leukemia virus and Immunodeficiency virus in cats. 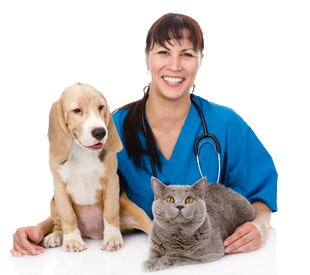 We have vaccines for all three but these diseases still kill many of the unvaccinated pets each year. Puppy infections are just waiting to happen as spring approaches and temperatures rise. The Parvovirus is waiting on the ground where it was left last summer and fall. The spring breeding season and explosion of puppies will provide fuel for the fire. The first order of business is to isolate your puppy until he has finished his initial vaccinations. One vaccination is not enough to protect your pet. Isolation means no walks out of the yard or trips to the dog park. Children should not take a puppy to their friend’s house to show them. Don’t let an unvaccinated puppy associate with other puppies. House training in an area of the yard where stray animals do not visit is best. Boosters at 6,9,12, and 15 weeks of age is a good vaccine schedule for year one. I have never had a fully vaccinated puppy die of Parvovirus since my first case in 1979. When I entered vet school there was no Parvo in dogs. Cats are vaccinated for distemper which is a parvovirus. The cat virus mutated in the late 1970s and became infectious to dogs. In the first year or so we actually vaccinated puppies with cat vaccine and it worked much of the time. Now we can test your pet at the office in about ten minutes to see if we are dealing with Parvo or not. My first suspect case in July of 1979 was a miniature schnauzer with bloody diarrhea. There were no reliable tests at that time. One of my very good clients was a horse and dog breeder. She had a friend at the University of Minnesota that worked in a lab with an electron microscope. We were discussing the new disease and she offered to take a sample to her friend’s laboratory. Eureka! The microbiologist actually saw the parvovirus particles in the sample and made the diagnosis. Now we have accurate tests that work much like a pregnancy test color reaction. A $500,000 electron microscope is fortunately not needed. I became a horse vet for about 9 years but when I returned to small animal practice I saw 25 cases of Parvo in my first 12 months in my Heath Ohio practice back in 1988. We now fully understand the disease and have excellent vaccines. The important fact that many owners do not understand is that a puppy is not 100% immune until its final booster shots at 14 to 16 weeks of age. The last vaccine gives the strongest protection but the earlier shots are important to prime the system. The number of boosters is important but how old the puppy is when finished is also just as important. Don’t wait to see the vet if you think your puppy has Parvo. Vomiting and diarrhea are the most common signs. Early and aggressive treatment saves the majority of cases. Do not wait because you are afraid of the cost. Any treatment is better than none. There is good better and best so get some treatment even if it is minimal. Without any treatment most puppies die. Check our website front page for more info!